I. How do we ensure our programs and services deliver the greatest value to our members and other journalists during the time of transition in the industry? II. How do we uphold journalistic integrity and bolster public trust in our profession? III. How do we grow and diversify our membership? IV. How do we maximize the potential of our volunteers, board and staff to invigorate the momentum of SEJ? V. How can SEJ sustain itself financially in the face of economic crisis and longer-term trends in philanthropy? This is a pivotal time for environmental journalism. As we write this new strategic plan, towering journalism institutions are weakened: many newspapers are in bankruptcy and some are shuttered for good. Publishers of all kinds are struggling. Television and radio newsrooms are implementing drastic cuts, and new media outlets are moving along on meager start-up budgets. People have lost their jobs, but what has lost the most ground is coverage. It's simply not possible to do the same work with half or two-thirds of a staff, no matter how dedicated they are. Complex beats like the environment, energy and development suffer in this process. Coverage of rural areas — where many environmental stories are — may be cut, or dropped altogether. Many big city dailies have also eliminated their rural delivery altogether, relying instead on the website to get the word out. Investigative reporting, which has been a growth area for environmental journalism, often disappears completely. All of this is happening as the environment is becoming an increasingly more dominant issue: climate change, energy transitions, air and water pollution and scarcity, dwindling natural resources, loss of topsoil, and on and on. The need for SEJ members' work has never been more important, and will grow even more critical during this century. Strategically, this is the perfect time to beef up environmental coverage, and yet it's the worst time, financially. The irony is that never before have so many people consumed the news. The Internet, which has robbed "traditional media" platforms of their old revenue model, advertising, is also delivering new eyeballs to news websites: new readers to print media, new listeners to radio and new viewers to TV — but they're consuming the news for free. New online media sources spring up overnight, but they, often rely on the old business model of advertising, or the public broadcasting model of non-profit journalism, which is in the same financial straits as the for-profit model. SEJ faces a similar conundrum. As more ex-staff reporters turn to freelancing, our membership grows. But economic challenges make SEJ's operating income more tenuous, at precisely the time when we are most needed, to provide services to journalists who no longer work in a newsroom, and provide an important professional community for independent journalists who suddenly find themselves without colleagues. We choose to embrace the positive aspects of these massive industry changes. We are doing our best to adapt to the technological changes sweeping the news business almost daily, and we're retooling our programs and services to keep pace with those changes. Amidst all this change, SEJ is committed to maintaining our high standards of financial and operating integrity. As journalism itself undergoes the most fundamental change of all — the definition of who is a journalist — we're committed to upholding our high membership standards, and to playing a larger role in defining and enshrining high community standards of excellence, fairness, credibility and trustworthiness. As we elevate and re-focus our work in the area of integrity, that new critical issue will replace the critical issue of "building organizational stature," which we identified in our last strategic plan three years ago. In many important ways, SEJ has "arrived" as an institution of stature within the journalism community. Our stature and reputation rest on our integrity, which we have built painstakingly over the past 20 years. We will guard SEJ’s integrity carefully, as SEJ moves forward into a future where the business model for quality journalism is unknown, but where we remain convinced our work is needed more than ever. The Society of Environmental Journalists, Inc. (SEJ) was founded in February of 1990 by a small group of reporters, editors and producers. The group was established as a nonprofit, nonpartisan, nongovernmental organization “exclusively for charitable, scientific, and educational purposes” within the meaning of section 501(c) 3 of the US Internal Revenue Code. 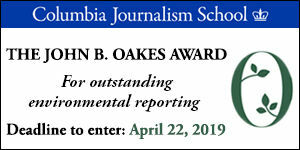 * Experienced environmental journalists are an excellent source of assistance to one another and to those who are new to reporting on complex environmental science and policy issues. SEJ's membership roster grew rapidly in its first five years, from a few dozen dedicated reporters in 1990, to more than 1,000 in 1995. At this time (July 2009), SEJ has more than 1,500 members throughout the United States, Canada, Mexico and 27 other countries. Journalists who use SEJ services report environmental news and information on a daily basis to millions of readers, listeners and viewers worldwide, through print, radio, television and Web-based media. All SEJ initiatives are designed by journalists and developed fully through member-volunteers. Working steadily over two decades, the organization has developed a reputation for exceptional service and leadership. 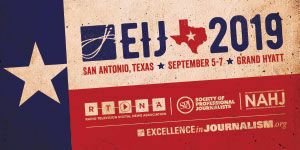 SEJ programs have included annual conferences hosted by distinguished universities, a comprehensive Web site, freedom of information WatchDog Project, daily news digest, biweekly TipSheet, quarterly SEJournal, online services, special publications, regional events, mentoring program, gatekeeper program, diversity program, awards to recognize excellence in environmental news reporting, and collaborative partnerships with leading journalism organizations and academic institutions. According to audited figures, SEJ's total expense budget in 1993 was $184,601. In 2008, operating expenses totaled $1,012,213. SEJ maintains strict guidelines and practices with regard to acceptable funding sources and the relationship of funding sources to program decisions. The organization does not seek or accept gifts or grants from non-media corporations, advocacy groups, or government agencies. Programs and operations are underwritten by foundation grants based on SEJ proposals, contributions from media companies and individuals, university sponsorships of the annual conference, and earned income, including dues, subscriptions, news release distribution systems, conference registration, exhibitor fees and advertising in SEJ publications. The SEJ board maintains rigorous financial policies to preserve the organization’s credibility and independence from special interests. SEJ has three categories of voting membership. To qualify as an Active Member one must be a full-time journalist working on print or online publications or broadcast programs generally available to the public for employers not involved in professional lobbying or public relations on environmental issues. Academic members must be teaching faculty or students. Associate members must be substantially engaged in writing, editing or producing news for print or broadcast, but they may work for institutions not primarily in the journalism business, e.g. universities, scientific research institutions and environmental advocacy groups. Paid lobbying or public relations work disqualifies individuals from any category of voting membership. Non-members are encouraged to participate in SEJ conferences and subscribe to SEJ publications. SEJ's July 2009 membership report noted that 66% of all SEJ members were qualified as Active, 13% as Associate, and 20% as Academic. SEJ members report the news in all types of media and market sizes. 30% of SEJ's active members are employed by daily newspapers and 38% are working as freelance journalists in various media. SEJ members currently note primary employers as follows: 20% newspaper, 25% freelance, 7% magazine, 11% student, 9% faculty, 5% television, 2% specialized newsletters, 4% online media, 2% news service, 5% book authors, and 5% total of smaller categories including photographer, publisher or SEJ-eligible editorial staff of universities, nonprofit organizations and government agencies. These figures may be contrasted with those of SEJ’s March 2002 membership report, when the organization had 1,127 members. At that time, 63% of all SEJ members were qualified as Active, 19% as Associate, and 18% as Academic. In March of 2002, 43% of SEJ's active members were employed by daily newspapers. Overall, SEJ members were employed 27% with newspapers, 22% freelance, 9% magazine staff, 9% students, 8% educators, 5% television, 5% radio, 7% photographers, or editorial staff of university, government or nonprofit publishers, 3% news services, 2% on-line publications, and 3% with specialized newsletters. SEJ's 2009 board is comprised of fifteen voting members and one ex officio member. Thirteen voting directors represent SEJ's Active membership. One voting director represents the Associate membership and one voting director represents the Academic membership. In addition, one board member, SEJ's founding president, holds an ex officio position. SEJ's board meets quarterly. Each fall, four or five voting directors are elected to three-year terms, by proxy and in person at the annual membership meeting. Immediately following each year’s annual membership meeting, new and returning directors elect a president, first vice president (programs), second vice president (membership), treasurer, and secretary as officers and members of the board’s executive committee. Only board members in the Active membership category may serve as officers of the board. The SEJournal is governed by an editorial board that is appointed to three-year terms by the SEJ board of directors. See www.sej.org for SEJ bylaws and more information on financial policies, donors, membership criteria and other matters of finance, membership and governance. SEJ’s first strategic plan was written in 1995, with support provided by the C.S. Mott Foundation. Since that time, its board, staff and members have renewed the process through three formal updates. [NOTE: link back to previous plan by hot link] Planning in 2009 was underwritten by the William and Flora Hewlett Foundation through its Organizational Effectiveness Program. 3) inform SEJ's future work, as board, staff and members move forward, choosing priorities for new or renewed objectives, within a corresponding resource framework. This plan update is based on a series of member, staff and board surveys, phone calls and online work sessions, a two-day leadership and planning retreat in April, 2009 and meetings of the SEJ board of directors. SEJ board, staff and member volunteers will address each critical issue listed below through a small number of strategic directions, relevant objectives and desired outcomes. Priorities, action plans, time frames and personal accountabilities related to each objective will be established by SEJ board members and SEJ staff no less than annually, and more often as appropriate. SEJ personnel will identify indicators of success and monitor progress through routine reporting cycles and meeting. Whenever possible, performance indicators and measurable outcomes will be established as part of the action planning process so that board, staff and volunteers involved in follow-through will know when they have been successful in addressing specific objectives. SEJ works in direct service to the journalism community. Through journalists, the work of SEJ serves the public interest. Our primary constituency includes professional journalists, editors, and producers working in print, broadcast and online news media, as well as journalism educators, journalism membership groups, and scientists who also serve as science writers. Because environment-related issues cut across many disciplines and topics, SEJ also supports the work of reporters in all media who cover environment-related issues of business, energy, transportation, health, science, agriculture, technology, international relations, government, lifestyle, education and economics. Institutional partners for SEJ programs and operations often include universities and other teaching institutions, news organizations, journalism associations, university-based institutes or study centers, scientific research institutions, museums, and groups working on freedom of information, right to know and open government issues. SEJ’s larger community of interest is defined by all those who have an interest in media, news reporting and the environment who may benefit from or participate in SEJ programs and communicating with the SEJ membership network. This community includes concerned citizens, scientists, government agencies and officials, educational and charitable foundations, environmental activist organizations, public relations agencies, industry and trade groups, media and non-media corporations, think tanks, trade associations and environmental educators. SEJ'S VISION: Credible and robust journalism that informs and engages society on environmental issues. * Progress with freedom of information, open government and right to know issues, reversing trends of government and corporate secrecy that have impeded news reporting since 9/11/01. * SEJ members engaged in and leading the digital transformation of professional journalism on issues of substance, empowered through skill development and an organizational culture of optimism, encouragement, resourcefulness and creativity. * High standards of excellence throughout the field, observable in contest entries and routine work cited through SEJ’s daily news digest and online aggregation services. * An informed society in which individuals, families, communities and political leaders make choices based on a healthy understanding of environmental issues. SEJ'S MISSION: To strengthen the quality, reach and viability of journalism across all media to advance public understanding of environmental issues. 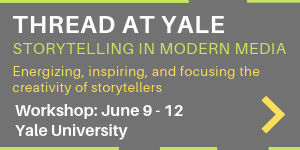 * Helping new environmental journalists improve the quality and accuracy of their work. * Encouraging students to choose careers in environmental journalism. * Providing leadership and tools for adaptation of our craft, to promote visibility of environmental journalism across changing media platforms. * Growing and supporting membership without compromising standards and principles of membership eligibility. * Managing SEJ financial resources according to sound financial policies recommended controls for waste and fraud, with attention to cash flow planning and adequate reserve funds. CRITICAL ISSUE 1: How do we ensure our programs and services deliver the greatest value to our members and other journalists during the time of transition in the industry? Current Situation: We live in a time of immense and rapid transition. Environmental issues become a bigger story each day, while the very foundation of journalism is shifting and, in some cases, crumbling. Newspapers cut back reporting staff, stop printing and opt for online new only, or fold altogether. Online journalism flourishes, but without bounds or structure. Credibility is lost and the public can often not tell the difference between sound reporting, industry spin or baseless speculation. SEJ must respond. We have a core group of members who are experienced reporters, understand the basics and intricacies of reporting in general and reporting on the environment, specifically. It is vital that these individuals have the means to keep others new to reporting on track. It is vital that this wealth of experience and knowledge be utilized in SEJ programs and services — in discussions about environmental issues by experts, policymakers and reporters; in forums about the nature and direction of journalism; and in hands-on training to hone reporters' skill and ability to use new means of informing the public, not only about the issues, but also on how to consider the source. STRATEGIC DIRECTION 1.1 Maintain SEJ’s programs at the highest levels of excellence and effectiveness as possible. STRATEGIC DIRECTION 1.2 Re-evaluate all programs to identify activities and expenditures that have the least value, assess consolidation or cancellation options for efficiency and value, and develop ideas for potential new programs and services to address changing needs of membership. STRATEGIC DIRECTION 1.3 Provide leadership for the creation of new opportunities and media for the future of environmental journalism. STRATEGIC DIRECTION 1.4 Maintain productive collaborating partnerships and identify opportunities to collaborate more with other organizations with like missions. STRATEGIC DIRECTION 1.5. Explore innovative approaches to offer greater value or services under SEJ’s umbrella as a 501[c]3 tax-exempt organization to members who are working as independent freelance journalists. STRATEGIC DIRECTION 1.6 Capitalize on new tools to ensure and expand connections and communication among and between members and the organization. CRITICAL ISSUE 2: How do we uphold journalistic integrity and bolster public trust in our profession? STRATEGIC DIRECTION 2.1 Increase our leadership activity in advancing journalistic best practices. STRATEGIC DIRECTION 2.2 Emphasize transparency in all SEJ activities. CRITICAL ISSUE 3 - MEMBERSHIP: How do we grow and diversify our membership? Current Situation: Journalism is changing rapidly. Bastions of traditional media, especially newspapers but also network television and radio, are faltering as digital media skyrockets. . Newspaper reporters, who for years made up most of SEJ’s active members, increasingly are finding their jobs – and even their papers – eliminated. Meanwhile, SEJ’s ranks of freelancers are growing and in recent years have outnumbered newspaper reporters. Magazine reporters, the third largest category of SEJ active members, are about 10 percent. Those working for other news outlets, including Web-based ones, constitute only a small percentage of membership. As a key to retaining members, SEJ must continue its focus serving active members. In the face of changes within the profession, SEJ must reach out to those engaged in new forms of journalism, such as blogging, and offer them valuable tools that will help improve their environmental reporting. In addition, the increased blending of the written and spoken word with images in the digital age shows that SEJ must redouble its efforts to bring more radio, television, video, and multimedia journalists into our membership. Students, the journalists of the future, are also key constituency we must attract and retain as we grow and prosper SEJ. STRATEGIC DIRECTION 3.1 Define and communicate the value of our community, network and programs to attract and retain members. STRATEGIC DIRECTION 3.2 Target diverse groups of journalists to attract new members and customize our outreach to them. STRATEGIC DIRECTION 3.3 Ensure that all SEJ policies include all forms of legitimate journalism, including the possible creation of new categories, without compromising the organization’s historic membership principles. CRITICAL ISSUE 4: How do we maximize the potential of our volunteers, board and staff to invigorate the momentum of SEJ? Current Situation: SEJ's members are the core strength of the organization, but their potential is difficult to harness and steer. SEJ needs to allocate significant personnel time for leading and herding all program workers— volunteer, board and staff — with an eye to all facets of program work, schedules, deadlines, milestones and reporting. The weakness here is that many are trying to be responsible for isolated or slightly connected bits of program without the guidance of one who can oversee and bring it all together. There is an opportunity here to adjust staff time, bring in more staff as possible, and allow the director of programs and operations to take a greater role in recruiting and managing volunteers for specific project tasks. With regard to Membership: Ensure that SEJ continues to operate as a member-driven organization, through programs and services designed and led by working journalists, educators and students. STRATEGIC DIRECTION 4.1.a Identify and develop the next generation of volunteer leadership. STRATEGIC DIRECTION 4.1.b Increase Board fundraising outcomes from board activity. STRATEGIC DIRECTION 4.1.c Increase clarity of roles and responsibilities and accountability of board members. STRATEGIC DIRECTION 4.2.a Enhance staff performance and prevent burnout. STRATEGIC DIRECTION 4.2. b Maintain staff succession and emergency preparedness plans. CRITICAL ISSUE 5: How can SEJ sustain itself financially in the face of economic crisis and longer-term trends in philanthropy? Current Situation: SEJ sees increased demand for organizational leadership, new and established programs and publications and new member services in a rapidly changing field. At the same time, the organization lacks predictable sources of financial support to underwrite staffing and expenses of core projects, general operating expense and effective organizational response to new demands. SEJ’s operating budget has been approximately $1 million over the last few fiscal years. Underwriting for personnel and direct expenses of programs and operations was provided on average (over three years) 58% by foundation grants and gifts from individuals, 17% by university sponsorship of the annual conference, and 25% by earned income. As an organization of professional journalists, SEJ maintains a strict policy with regard to appropriate sources of funding. We do not seek or accept gifts or grants from non-media corporations, government agencies, or environmental groups. When it comes to earned income, we seek a balance of sources for income streams such as fees for press release services, advertising in SEJ publications, or conference exhibit and independent hospitality space. The economic downturn and increased competition for philanthropic support have made it more difficult for SEJ to secure new grants and major gifts. Demands of employment, and unemployment, on board members and other key volunteers limit their potential for contributions of money and time. Economic stresses on government agencies, environmental groups and businesses may lead to shortfalls with earned income. Nevertheless, we have many assets, both human and financial. At this writing, SEJ members have raised $______ for The 21st Century Fund, SEJ’s permanently restricted endowment fund. The organization maintains no debt and has, thus far, maintained a reasonable level of operating reserves year to year. STRATEGIC DIRECTION 5.1 Evaluate SEJ’s current funding base, identify and develop best opportunities for future revenues through analysis of current sources and research to identify and rate potential sources of new gifts, grants and earned income, within current SEJ financial policies. Follow up on the most promising sources. STRATEGIC DIRECTION 5.2 Fulfill and renew current relationships with donors, including relationships with university sponsors of SEJ annual conferences. STRATEGIC DIRECTION 5.3 Expand the pool of potential donors willing to invest in environmental journalism. STRATEGIC DIRECTION 5.4 Expand the case for SEJ and environmental journalism, for use in presentations, proposals and relationship cultivation. STRATEGIC DIRECTION 5.5 Based on analysis in STRATEGIC DIRECTION 5.1, reevaluate SEJ fundraising policies and funding restrictions on corporate, government, advocacy funding and make appropriate changes, if any, to SEJ policies and practices, through appropriate board-level procedure. STRATEGIC DIRECTION 5.6. Maintain appropriate levels in unrestricted operating reserves for SEJ. STRATEGIC DIRECTION 5.8. Reevaluate sources, performance, policies and purpose of the 21st Century Fund, SEJ’s general endowment fund, and make appropriate changes, if any to endowment fund policy. Work groups made up of SEJ staff, board committees and member volunteers will embrace specific objectives, actions and accountabilities in response to strategic directions noted above. They will provide progress reports quarterly, corresponding to each of the five critical issues noted above, through the board’s “Hot Sheet” process. See SEJ's previous Strategic Plan 2006-2008.